Lacy Robinson, 18, is a senior from Cincinnati, Ohio and his favorite color is purple because it is the color of royalty and he wants to feel like that. “It kind of does feed my god-complex,” Lacy said. “It’s not me trying to have an ego but me trying to have confidence about myself.” His favorite food is actually a favorite meal of country ribs, mashed potatoes, cabbage and corn bread. He said his mom and aunt make it special for him when they want him to know they’re happy with him. 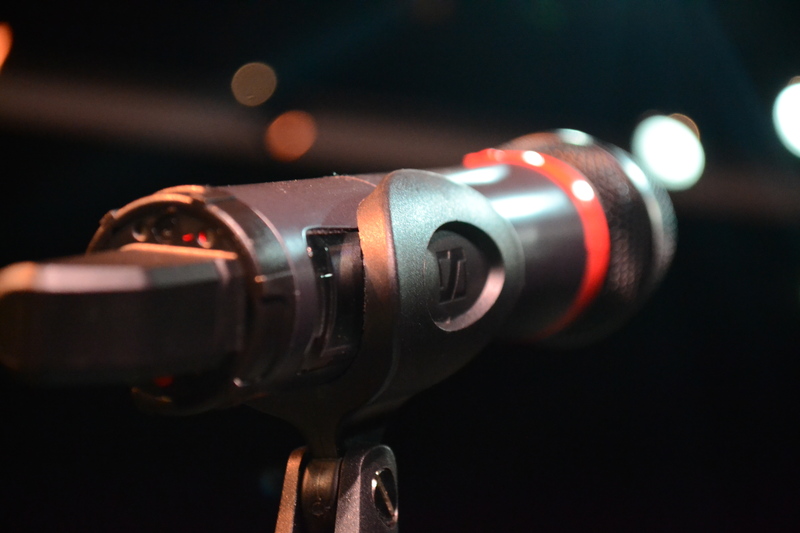 After graduation, Lacy wants to continue being a spoken word and music artist and just keep doing what he’s doing now. 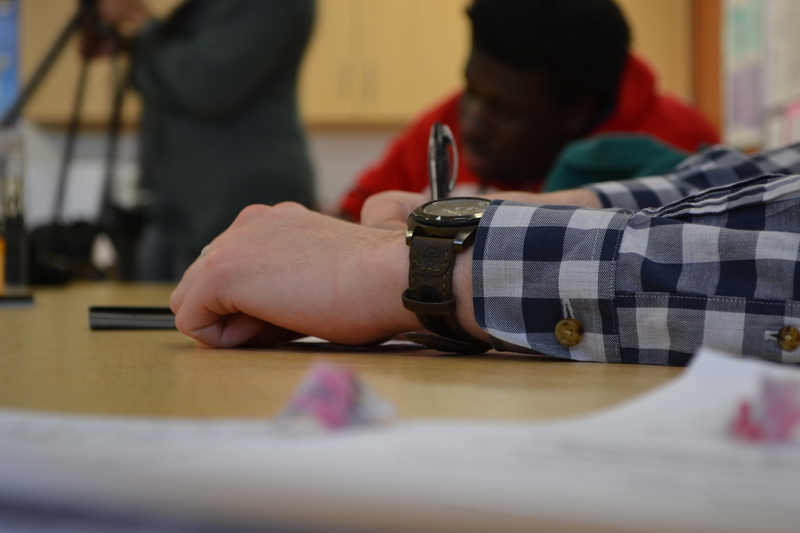 “I want to go to college for marketing and learn how to do what I do so I can learn how to market myself,” Lacy said. “I want to be a poet and I want to make music. For him, poetry has literally always been therapeutic ever since he started writing in the eight grade as an alternative to therapy. 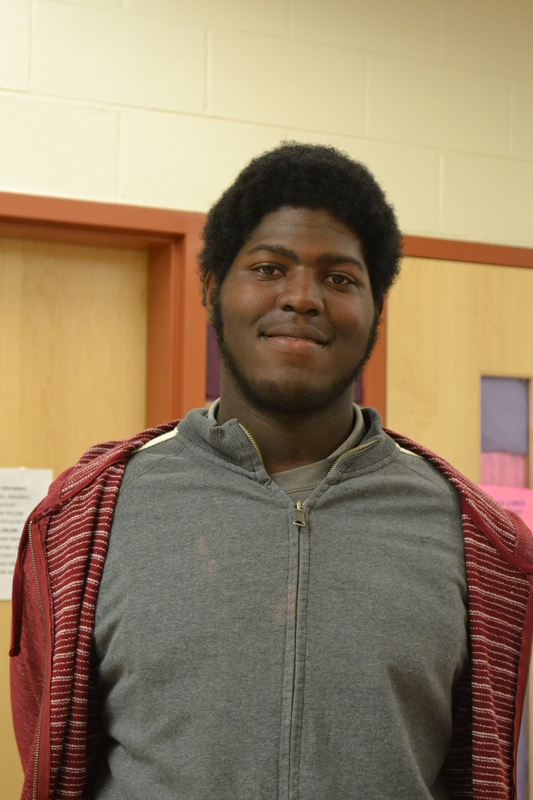 “I feel like poetry is now my responsibility,” Lacy said and then described a woman who approached him after the semi-finals with tears in her eyes and thanked him for his poetry. She told him, “You saved my life with your poetry.” “After someone tells you that,” Lacy said, “you can’t do something else.” When asked to describe himself, he said, “I am a philosophical artistic genius but just because i have a mental illness, I don’t feel like that’s a problem.” Lacy earned the highest individual score during the Louder Than A Bomb semi-finals and will be competing on April 18 during the finals. 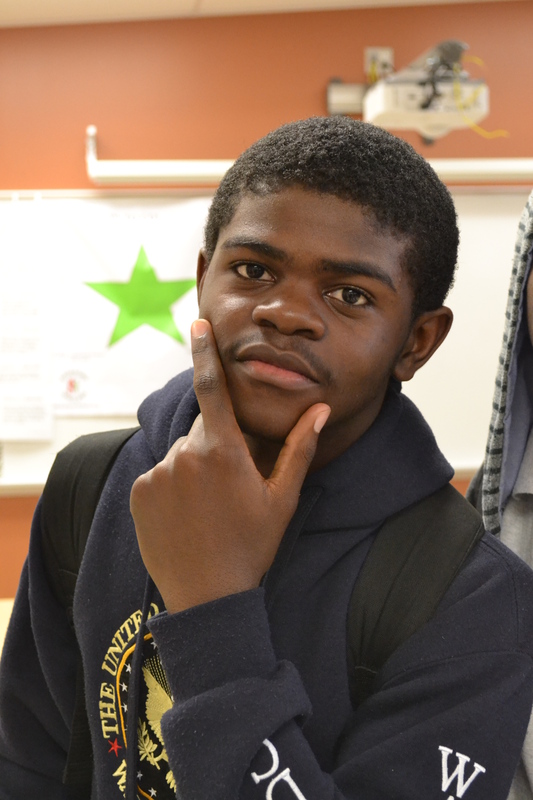 Tyrese Adams, 15, is a sophomore at Aiken. Her favorite color is blue because it’s, “just so pretty…and there’s a lot of varieties of blue.” While she loves all kinds of food, she craves meat lovers pizza and homemade macaroni and cheese. In her spare time, she enjoys playing basketball and softball and loves to write poetry of course, but she secretly enjoys writing fiction. “I like love stories. Sometimes I have to write a little vampire love story but [the stories are] always about love,” Tyrese said. “I just love love.” She wants to be a physical therapist or a psychologist someday and will be taking AP psychology next year when it’s offered at Aiken. She started participating in WordPlay this year. 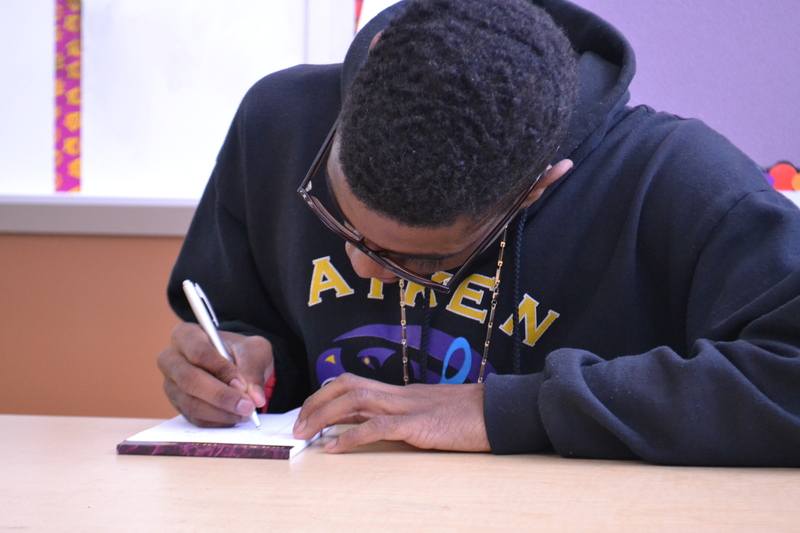 “I didn’t know I was that good of a writer until I started this program,” Tyrese said. Now, she uses her writing as an outlet for things she can’t say or things she feels strongly about. 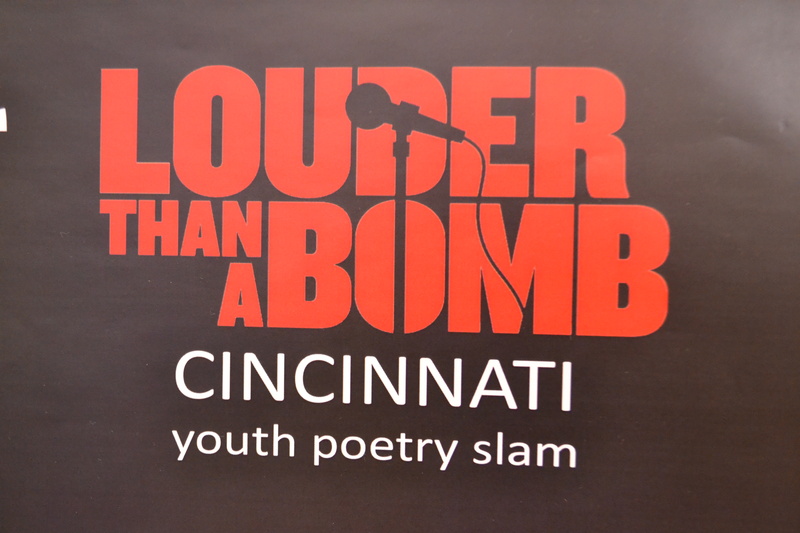 Tyrese is an alternate finalist at the Louder Than A Bomb Cincinnati Finals on April 18. Ronnie Adams, 15, is Tyrese’s twin sister and feels the best thing about poetry is writing it because it helps her express how she is feeling about things. Her favorite thing to do in her free time is skateboarding and she’s pretty good at it. “It makes me feel like I can do anything,” Ronnie said, “especially when I skate in a pool.” Her favorite color is rainbow just like the rainbow-colored finger-less gloves she always wears and her favorite food is taco salad. When she grows up, Ronnie would like to be a graphic designer. 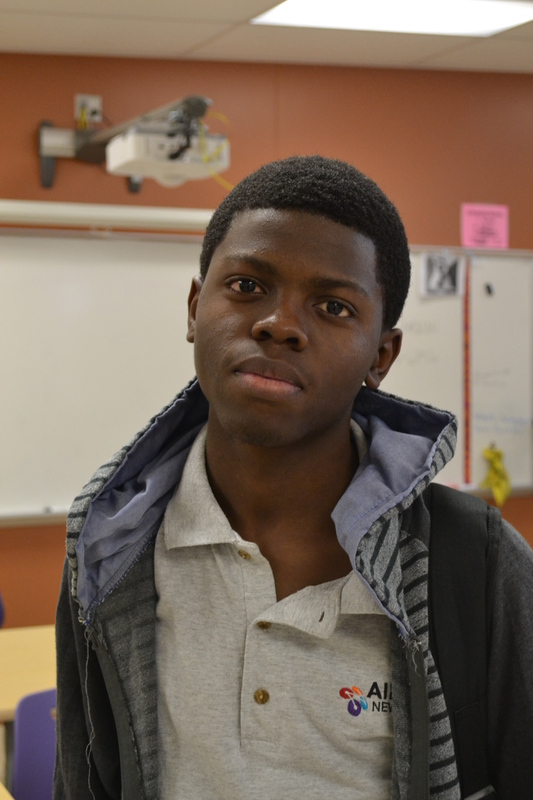 Romain Mayambi, 17, is a senior and he and his family are from Arari, Zimbabwe. His favorite color is blue and he enjoys eating junk food, especially french fries. 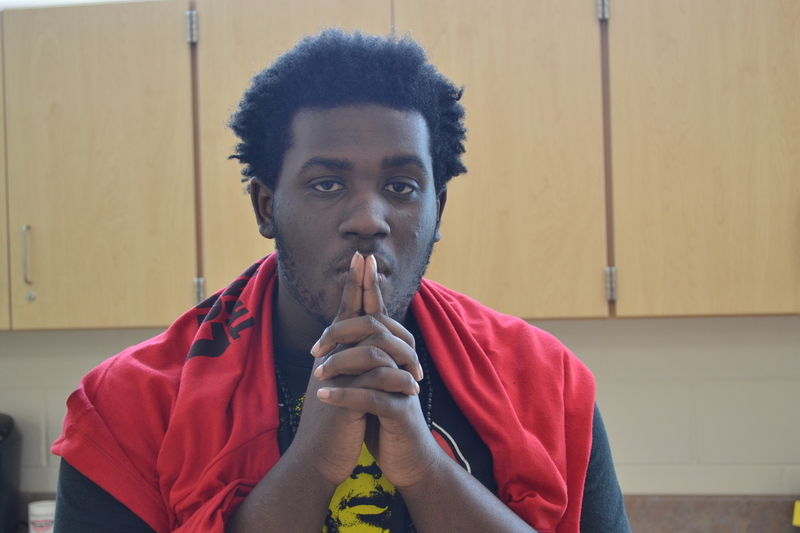 He started coming this year and said WordPlay has helped him find a voice. “I’m usually not talkative,” Romain said. “I don’t talk a lot so [WordUp’s] made me connect with people and I feel more comfortable.” Romain described himself as a good guy who is very handsome and easy to work with. He also wants to be a doctor someday. 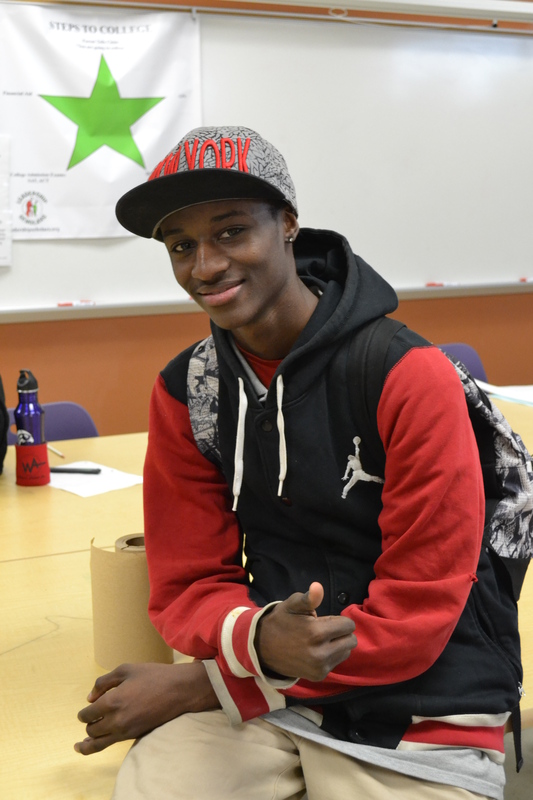 Gift Mayambi, 16, is a junior who has just recently received his learners permit. His favorite color’s are green and blue and, like his brother, he likes to eat junk food. He hasn’t decided what he wants to do for a career after high school but he knows he wants to go to college and get a degree in something. “I still have a year,” Gift said. In his free time, he enjoys playing guitar, keyboard, and drums and he likes to draw and play sports. When it comes to poetry, he said, “Poetry is like a tiny soul…[it’s] something I use to make people feel what I feel.” Gift described himself as a, “cool dude,” who is handsome and a bit tall and single. 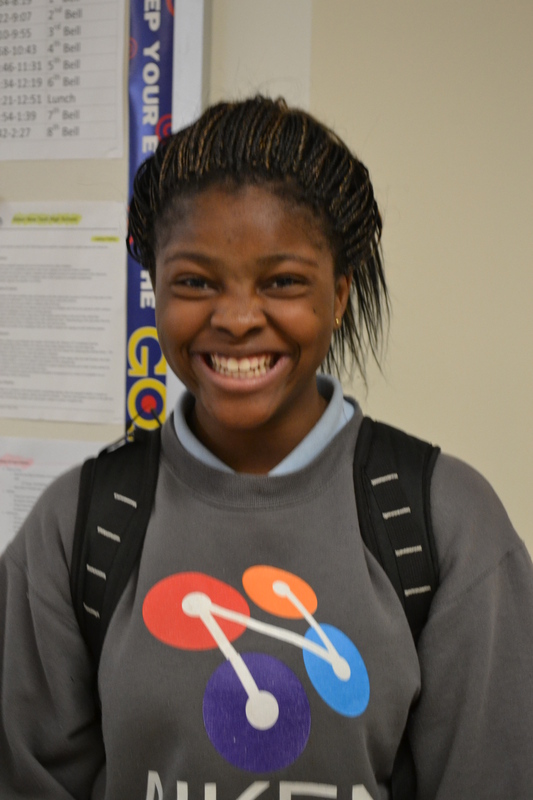 Joyce Mayambi, 14, is a sophomore who wants to be a veterinarian and hopes to get a dog someday soon. She prefers healthier food options than her brothers but still enjoys all kinds of food and her favorite color is rainbow. 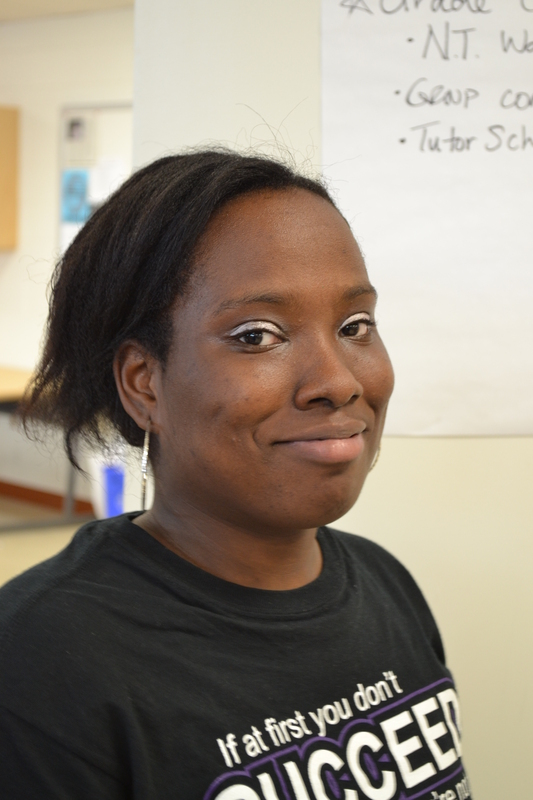 “[WordUp’s] cool because we get to talk to the tutors like Ms. Elese,” Joyce said when asked about WordUp. “They’re awesome.” To Joyce, poetry is an opportunity to write and then to speak what she writes, even though she might be a little nervous. “I have learned to be confident and to make up the words when I don’t know what to say,” Joyce said. Qwannise Reeves, 18, is a senior who loves the color purple, Chinese food (especially stir-fry rice), basketball and sometimes, staying in. 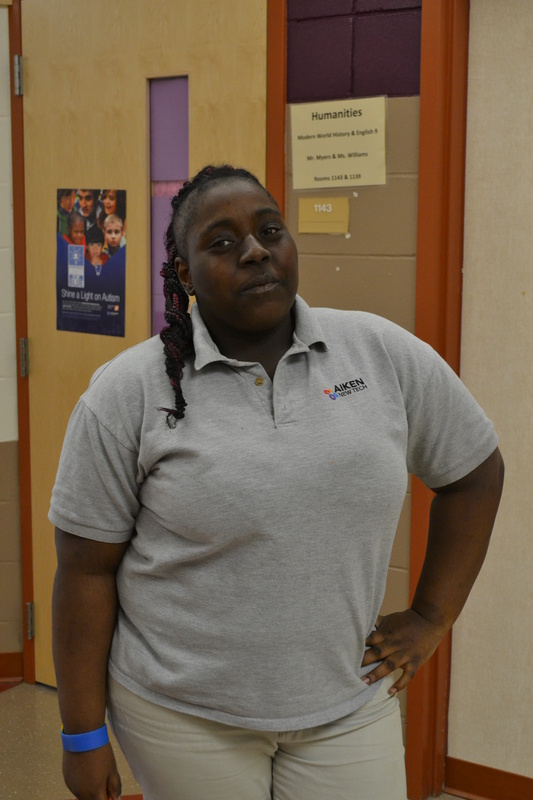 She wants to be a nurse because of her aunt who has worked with the children at Greystone Children’s Hospital. 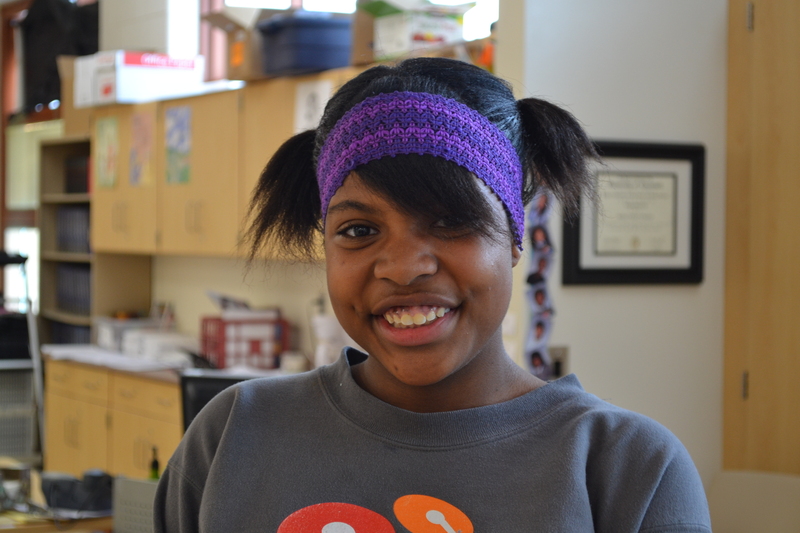 “That makes me want to be a nurse because she’s a role model,” Qwannise said. “I want to be a nurse like her.” She described herself as being confident, independent and hard working and that is noticeable by her attendance at school every day and WordUp every week. Qwannise likes to write a lot which is probably why she loves poetry. “I love poems because it’s so deep,” she said. 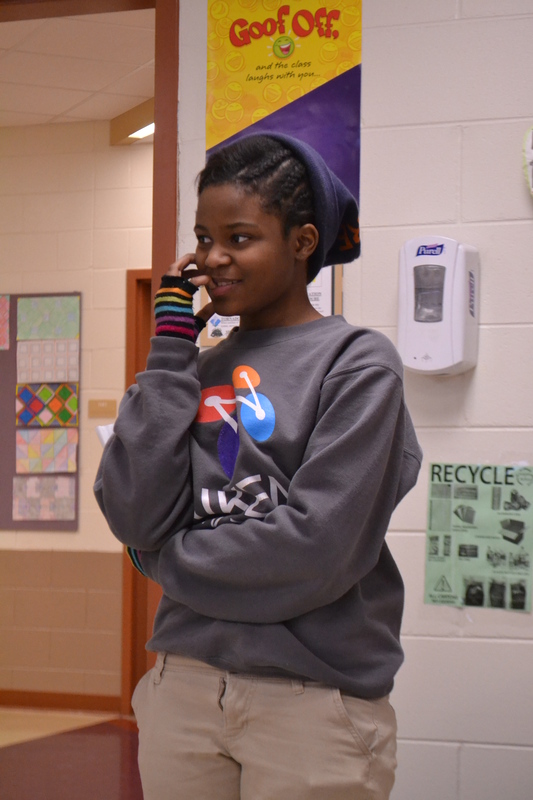 Tayshona Holliday, 18, is a senior, an only child and her favorite color is pink. Her favorite food is a chicken & steak bowl from Chipotle with mild salsa, lettuce, heavy sour cream, no guac and chips. 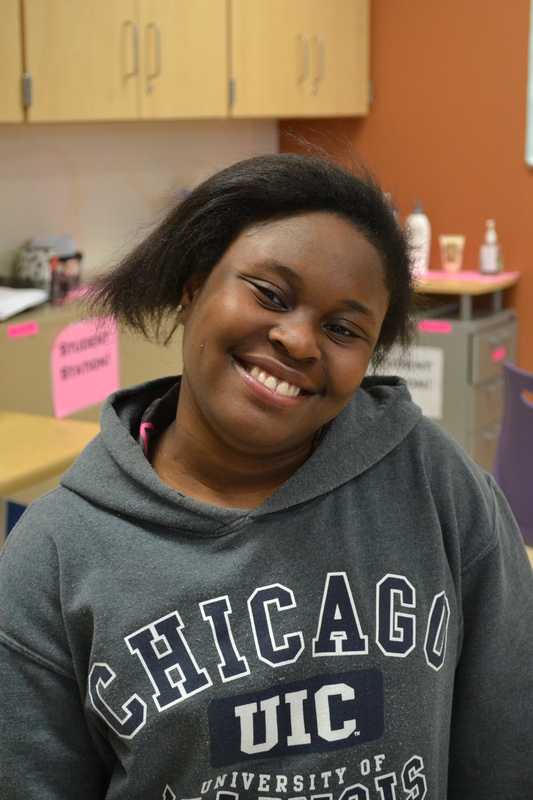 She loves everything about WordUp and said it’s helped her learn a lot about herself and has been a creative outlet. 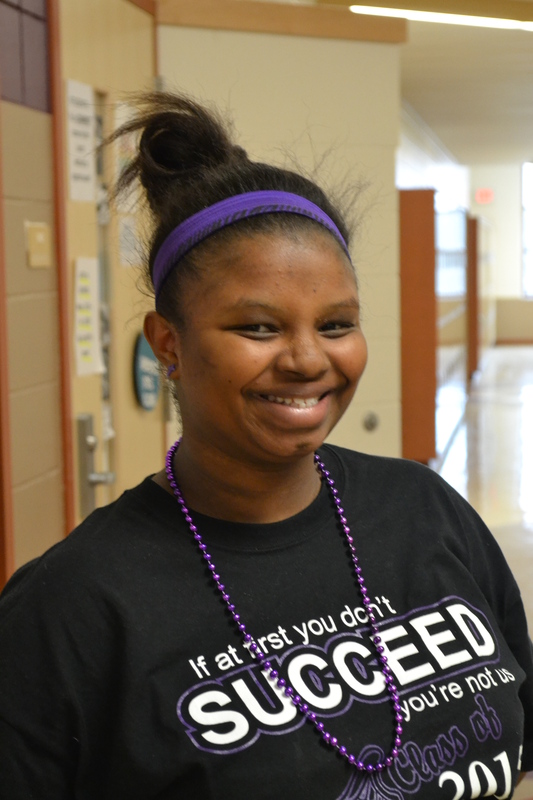 “[WordUp] brings out the best in you,” Tayshona said. “It brings out all your fears, all your ambitions, all the stuff you repress…it makes it easier to express yourself.” She described herself as being an energetic and fun going person who loves everyone. “I want to leave a mark on everyone,” she said. Also, she wanted people to know that you can do anything that makes you happy and anything to be successful and everything that comes in between as long as you put God first. 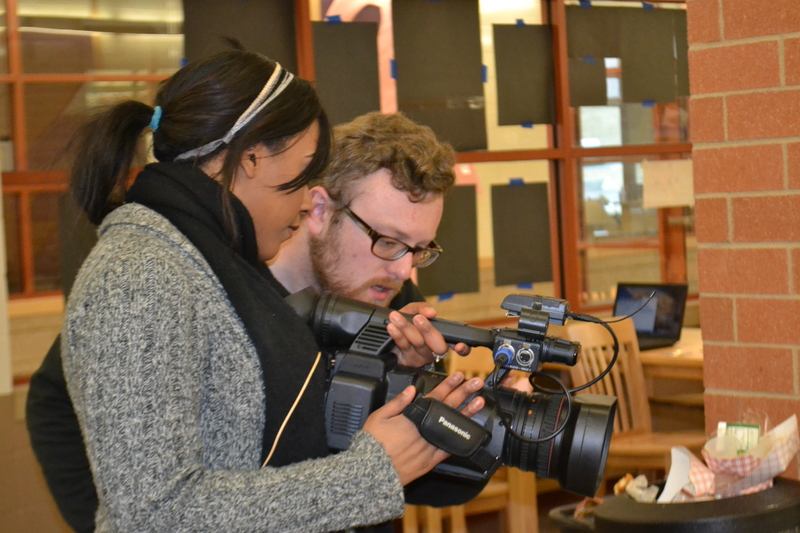 After she graduates from high school, she will be going to college to become a broadcast journalist.